We still don't really know why. A tough winter, a weak queen, any of dozens of possible pests and parasites – any of these can cause a colony to collapse. Because bees breed so prodigiously, it’s not particularly difficult to create a new colony; even backyard beekeepers can divide an existing colony into two with not very much effort. Because of both the ease of losing a colony and the relative ease of building a new one, researchers have some statistics for acceptable losses, which don’t actually leave an overall operation in worse shape than it was before. This is all a preliminary to say that bees are, as probably everybody knows by now, dying at a much faster rate than they can regenerate. 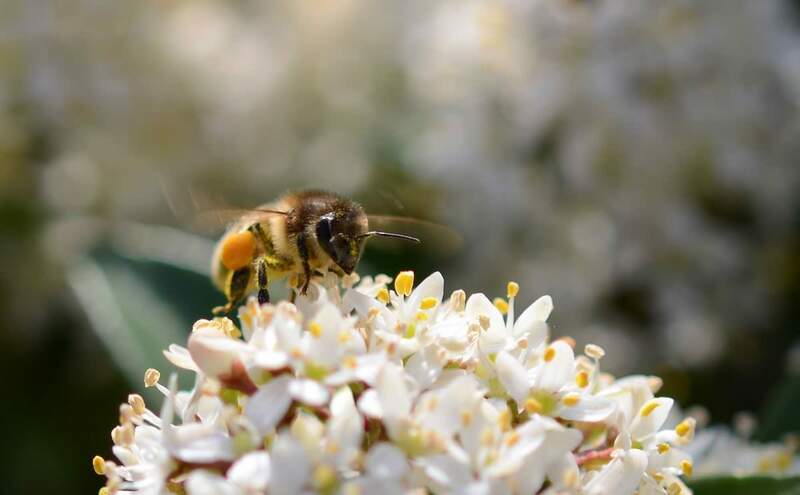 Over the past ten years, colonies in both backyard and commercial settings, according to BeeInformed, a research group supported by the USDA, have endured an average winter loss of 28.6 percent. But in breaking down that number, a new survey from BeeInformed shows some pretty alarming things. This year, [summer mortality rates] were 28.1 percent – a truly alarming statistic that indicates that the travails of cold months may not be a primary cause at all. Bee colonies suffer much higher losses in the winter than in the summer; it’s a harder time of the year for bees just as much as the rest of us. The survey covered 5,756 beekeepers who produce about 15 percent of all honeybee colonies in the country in a representative sample (this is, frankly, an enormous sample size for a survey like this). It found that winter losses were about on par with the previous ten-year average for winter losses, though that’s not necessarily a good thing; BeeInformed places the “acceptable winter loss” rate at 16.9 percent, so holding steady at just over 28 percent isn’t much to boast about. Where things get scarier is in the summer mortality rates; typically they’re much lower than those in winter. For the first two years this statistic was monitored, in 2010-2011 and 2011-2012, the summer mortality rates hovered around 5 percent. This year, they were 28.1 percent – a truly alarming statistic that indicates that the travails of cold months may not be a primary cause at all. The total colony losses for the year – including the 28 percent in both summer and winter, and the meager additions of new colonies – ends up at 44 percent. Not the absolute highest ever; the 2012-2013 season beat this year by a few percentage points. But it certainly indicates that things are bad for honeybees (and, in turn, huge swaths of agriculture that relies on them for pollination, including the almond industry), and that we have, really, not much idea why. The study suggests a possible issue with viruses spread by the varroa mite, one common in backyard gardens; it reveals a much higher incidence of varroa infection than previously thought. But that’s only one piece of the puzzle.